Spring steelhead fishing in Michigan is a different animal from fall steelhead fishing. 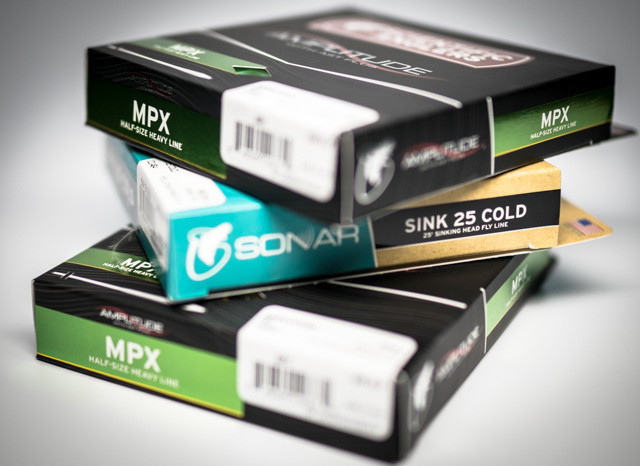 The difference is due to several factors, water temperature, the urge to spawn, and available food supplies. 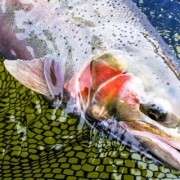 Steelhead begin moving into our rivers in fall. Their motivation is available food and the urge to spawn. The salmon spawn puts millions of eggs in the river that the steelhead feast on. During the salmon spawn it’s almost difficult to catch steelhead on anything but egg imitations. 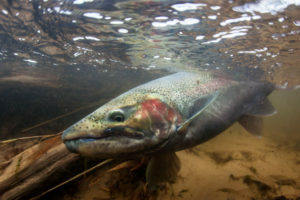 The steelhead spawn doesn’t occur until spring. No one knows for sure why steelhead that ascend the river to eat steelhead eggs in August and September and then stay after the eggs are gone. Sometimes they don’t! Coming early and staying is likely due to some of our original steelhead planted had to travel great distances to spawn so they started early. That urge may have remained in our Little Manistee River strain of steelhead. 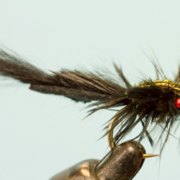 Manistee River steelhead fishing is some of the best steelhead fly fishing in the Great Lakes, maybe even the lower 48 states. 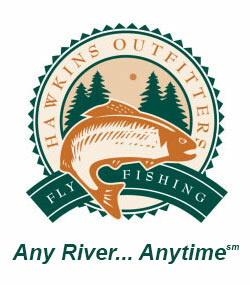 Anglers from all over the country travel to Michigan for Manistee River steelhead fishing. 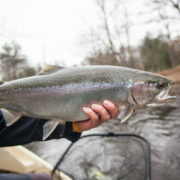 The Manistee and other northwest lower Michigan rivers have steelhead in them from late September to well into May.